To the President of the Parliamentary Assembly of the Council of Europe (PACE). 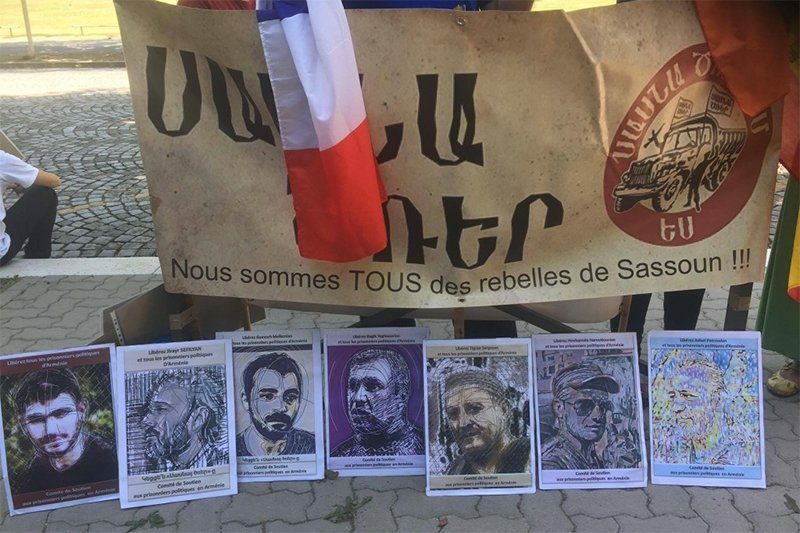 The Support Committee of Political Prisoners in Armenia has just been informed that the President of the Republic of Armenia, Serge Sarkissian, is preparing to conduct a series of high-level visits to France – in Paris and in Strasbourg. As part of his visit to Paris on 22 and 23 of January 2018, the President will meet French President Emmanuel Macron, Senate Speaker Gérard Larcher, Speaker of the National Assembly François de Rugy, as well as members of the group. France-Armenia parliamentary friendship. At the Paris City Hall, President Sarkissian is scheduled to meet Mayor Anne Hidalgo and representatives of the Armenian community of France. On January 24th, he would take part in the winter session of the Parliamentary Assembly of the Council of Europe (PACE) where he would also meet the Secretary General of the Council, Thorbjørn Jagland, the President of the Court Human Rights Commission (ECHR), Guido Raimondi, President of the European Commission for Democracy through Law, Gianni Buquicchio, and the newly elected President of the Parliamentary Assembly of the Council of Europe (PACE Michele Nicoletti. 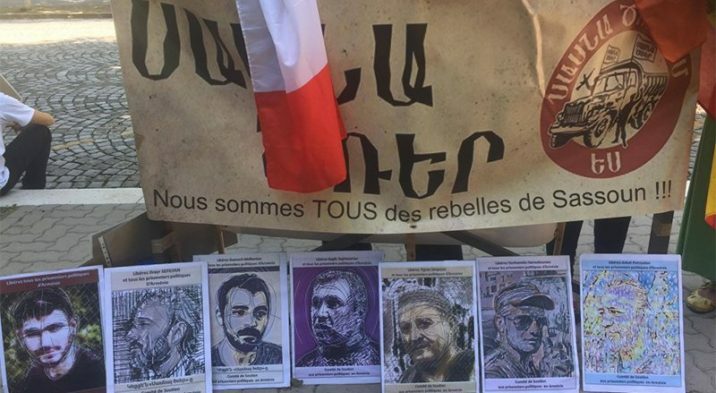 On the occasion of this visit to France, the Support Committee of Political Prisoners of Armenia would like to express its greatest concern regarding the systemic and mass violations of human rights in Armenia. Adopting the legacy of the single party in Soviet times, Armenia is one of the countries that has failed to accept the existence of a real and diverse political opposition. Each contestation is treated as dissidence and prosecuted, considered as an offense of opinion, and fined with hefty penalties. It is not common for a country that lost nearly 50 percent of its population since independence in 1991 that relies on illegitimate elections, to see the birth of so many lawsuits for conspiracy against the state: not less than 6 trials have been initiated in Armenia since 2016, whose indigent instruction targets former ministers and political activists. Shouldn’t the indictment and the disproportionate burdensome penalties already imposed or required be among the concerns of European countries concerned with the rule of law? They noted that President Serge Sarkissian, a former head of the Armenian National Security Service (NSS) – the successor of the Armenian KGB – has come to power following two rigged elections in 2008 and 2013, which he controls in fact by itself the executive, legislative and judicial powers and oversaw the amendment of the Armenian constitution on December 2015, which will allow him to govern the country as Prime Minister beyond 2018, and without limit of duration. After that, the repression hardened to the point of falling indiscriminately on simple protesters, some of whom are currently judged on the same benches as political activists pursued for their public speech and not on proven facts. Defendants were beaten inside the courthouse and their lawyers were subjected to abuse and harassment, not to mention the threats to the families and relatives of the defendants. Despite the European Union’s Justice Action Plan for the modernization of the Armenian system and the training of 250 international judges, the trials show no progress in the field of basic rights of the defense. The Council of Europe monitors and audits the use of its reform grants (Justice Action Plan) and the timely implementation of the pledges. Why is it that the new Armenian Penal Code, drafted since 2012 in coordination with European experts and providing for the reduction of excessive delays in pre-trial detention, has not been submitted to Armenia’s Parliament since then? According to Armenia’s human rights NGOs, the country has 109 political prisoners. Unfortunately, this list is not exhaustive. We wish to draw your attention to some elements of a very worrying general situation in Armenia and more particularly to that of justice, fairness, and due process. Thanking you for your attention, we ask you to accept, Ladies and Gentlemen, our highest consideration.